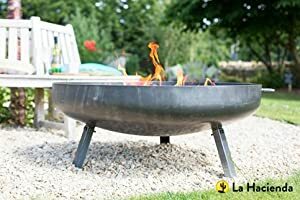 We are reluctantly offering the sought after La Hacienda Pittsburgh Steel Firepit - Large - 1 Metre Diameter for a reduced price. 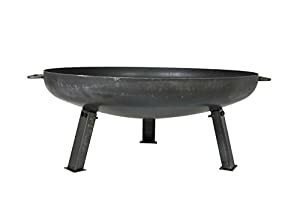 Don't miss out - buy the La Hacienda Pittsburgh Steel Firepit - Large - 1 Metre Diameter here now! 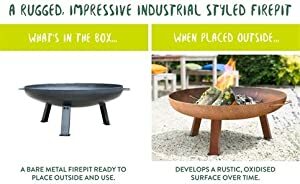 Pittsburgh Firepit - Large Impressive, large and made from heavy gauge steel, it's easy to get fired up over the large industrial style Pittsburgh fire pit. 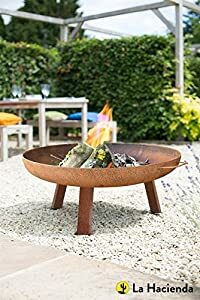 With an extra wide mouth and substantial bowl, this fire pit turns up the heat by giving a 360-degree view of the fire. 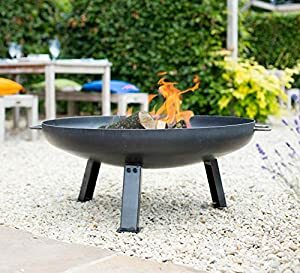 Starting off with a gunmetal grey oiled finish, this fire pit develops over time to feature an oxidised and weathered surface. 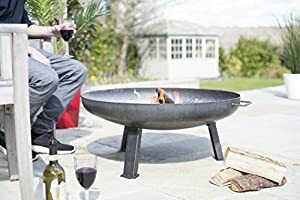 Suitable for large gardens - place on a slate patio, amongst rattan furniture and gather family and friends around. Height 41cm, diameter 1 metre.